Encore Music & Arts, located in Fuquay-Varina, offers voice, piano, and acting lessons for students of all ages and skill levels. Our goal is to foster a love of the arts in our students and to help them achieve their goals and dreams. Owner, Joan Pearce, has been offering lessons for over 13 years and has the skill and experience necessary to help each one of her students develop their own skills to their furthest potential. If you or your child is interested in developing their vocal skills, Encore Music & Arts offers lessons that can be specifically tailored to them to further their skill level and foster their love of music. Our goal is to teach students how to produce sounds correctly through pedagogical and breathing techniques. We aim to build a solid repertoire to help with any auditions or performances that may occur in the future. 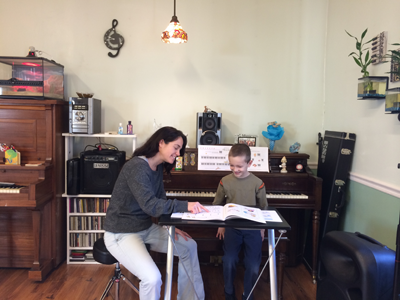 Maybe you are interested in getting your child or yourself started in piano lessons, or maybe you learned as a child and are ready to further your rusty skills. With over 13 years of experience, Joan has the skills necessary to teach both the young and the young at heart. She understands the short attention span of a younger child and can also adapt her lessons for an adult learner. 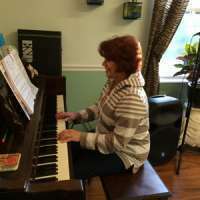 Joan is experienced in teaching a number of musical styles, such as classical, jazz, or blues. 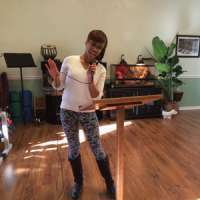 She also teaches how to play piano for musical theatre and contemporary repertoire. If you are simply looking for a creative outlet or want to hone your acting skills, Encore Music & Arts has a lesson that is right for you. 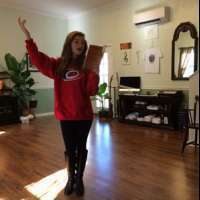 Joan offers classes in acting, stage movement, improv, comedy theatre, and musical theatre. Joan has helped many of her students to audition and be cast in movies and commercials. She has students who are represented by reputable talent agencies due to her teaching and experience.